Gordon- as a part of Surface to Air- was commissioned to create a piece of artwork in celebration of the 30th birthday of Hello Kitty. 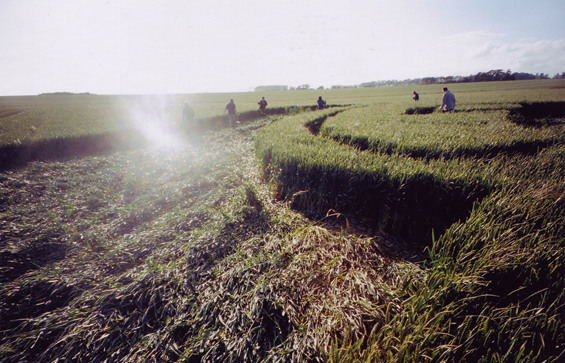 The result: a giant crop circle in Wiltshire, England. The circle took 24 hours to create with a team of 7 and was visible for 3 months. The photo and an accompanying video detailing the making of was displayed throughout Japan and exhibited at the Mori Museum of Art in Tokyo.